The United States healthcare system is on the verge of a serious physician deficiency. The Association of American Medical Colleges (AAMC) released a report in April, 2016, revealing some very real statistics. The AAMC report estimates that by the year 2025, a projected total physician shortfall of between 61,700 and 94,700 will exist. Four specialty categories were included in the report: primary care, medical specialties, surgical specialties, and other specialties, all of which are facing significant shortages estimated to affect health care delivery. There is no simple solution, given the amount of complex and interchanging factors that together create the deficiency. These factors include baby boomer retirement, changing demographics, and increase of insured population due to the Affordable Care Act (ACA). The physician shortage filters down and impacts residency programs, hospitals, and physician recruiters. Unless changes are made, recruiters face a shrinking physician population. So, what can recruiters do? Recruiters, both in-house and those connected to agencies, must become proactive in attracting and locating the best physicians. The bright side is the healthcare industry received an early warning; this issue did not sneak up on the industry. Agencies and healthcare organizations surely are feeling the crunch. Now is the time to take proactive steps. In-house HR departments and recruiting agencies must first accept the realities of the problem and determine exactly how they will affect recruiters’ sales goals, agency business objectives, and the overall healthcare environment. Strategic planning comes from research and data. Recruiters must educate themselves on current trends. Know the statistics, think for the present as well as future recruiting needs, and then create a strategic plan to overcome the issues identified. Chippewa Country-Montevido Hospital in Minnesota is struggling with the shortage. As the baby boomers retire, the hospital is lacking needed physicians. 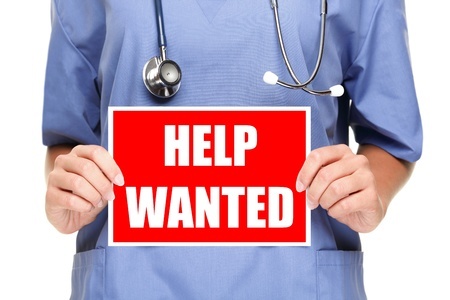 Recruiters for hospitals in rural areas have an additional degree of difficulty. Mark Paulson, CEO of CCMH, and his recruiting team are adapting by making some creative changes. Their strategic plan includes the hospital offering a lot of incentives. Additionally, CCMH has partnered with the University of Minnesota to offer medical students 30-day internships. This opportunity allows students to experience rural healthcare first hand and generate early interest. Are your Current Compensation Packages Still Competitive? Due to high demand, new physicians are seeking more competitive compensations. The first thought is salary, which is honestly an important motivator in all compensation packages, but additional financial incentives are helpful. Offering financial stipends to assist with relocation and loan repayment assistance can make the difference between hiring and retaining a new physician. For physicians who received financial aid, to repay the loans they must work for a healthcare organization or hospital. The AMA conducted a survey of 200 physicians age 35 or under and reported 80% of physicians were employees and only 15% owned a medical practice either fully or partially. This makes sense, as many new physicians do not have the income to practice on their own, mainly due to repayment of debts. For recruiters, this means a majority of new physicians will need your help. The same survey found that 92% of doctors said maintaining work/life balance is important, yet only 65% said they felt the balance was achieved. This response reveals work/life balance is a motivator for millennials, thus changing or increasing time off and offering flexible schedules may be in order. Planning for the long-term is just as important, and some compensation plans and recruiting strategies can be immediately implemented. Other strategies will not provide instant results. For example, Texas Tech University and New York University have accelerated programs that allow students the ability to graduate in 3 years rather than 4, cutting a medical student’s time and school costs. This allows recruiters building a network and pipeline to get ahead of some competition. Connect and build meaningful relationships with colleges and universities, attend job fairs, and reach out to students early. Again, the real pay-off will happen later. Take any opening to reach out to students, network, and follow-up with future physicians is beneficial. To secure quality patient care during the shortage, advanced practitioners are a great fit. These positions now have the perfect environment to flourish. Nurse practitioners and physician assistants have the ability to provide 85% of physician services and work within multiple specialties. Recruiting more AP’s is a good option for the strategic plan since they can fill in the gaps the shortage has and will create. Take steps to increase the AP’s in the pipeline and when speaking to hospitals and facilities about recruitment, be sure to discuss adding AP’s when needed. The growing physician shortage is a major problem for healthcare, and recruiters need to implement solutions. Some recruiters will see a problem; others see an opportunity. Take the latter viewpoint, see the exciting new challenge, and be part of the resolution. 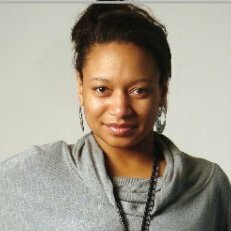 Erica Macon is a HR Professional with 8 years of expertise in recruiting, compliance and training. Her articles focus on HR trends in recruiting and compliance and have appeared in Nia, an online magazine and Grantnexus.com. Her writing style is consultative yet personable. She works as an Independent HR Consultant for small businesses and startups. To learn more about how her HR knowledge could grow your business, visit her website at www.epm2prghr.com.